You will be given a reference e-book to read which has 220 pages And the test will be based on that e-book , you can take the test only after 10 days Of &nbsp;purchase. What is Six Sigma Projects? Six Sigma is a term which came from a statistical field named as process capability studies. It is a famous corporate strategy which aims to help businesses create high quality and efficient practices that will bring them closer to success. Implementing strategies and carrying out projects with the help of the Six Sigma method works in ensuring that the finest products are delivered to consumers. It is also capable of helping companies increase its earnings, guarantee customer satisfaction and improve productivity and corporate performance. There are different programs for Six Sigma certification and included among the most popular ones is the Six Sigma projects certification. Getting this type of Six Sigma certification will let you understand that the projects for Six Sigma actually flows using two basic project methods which is composed of five phases. The first one is called the DMAIC and its phases include defining problems, project goals and the voice of your clients, measuring the key areas of a business process that you are currently using and collecting data relevant to the said process, analyzing the collected data for the purpose of investigating and verifying cause and effect relationships, improving or optimizing the present process used and controlling the future condition of the business process. The DMAIC method is primarily designed for projects that are focused on improving or devising a process currently used by a business. The second method for Six Sigma for projects is DMADV and this is perfect for you if you are planning to establish a project which is primarily focused on building new designs for a business process or product. Its phases include defining design goals, measuring and identifying certain characteristics that can seriously affect quality, analyzing characteristics and goals with an aim of designing and developing alternatives, designing details and verifying designs of a product or a business process. You will gain a full understanding about these methods after you complete a Six Sigma projects certification course. Six Sigma is extremely beneficial to anyone especially those who are working in an organization so you have to consider getting your Six Sigma projects certification from any of the most reputable and ISO certified online certification companies at present. One of your best choices is Brainmeasures. Its ISO certification and the fact that its Six Sigma projects certification program is mainly developed by experts emphasize its ability to support the kind of learning that you want when attempting to become an effective Six Sigma professional. Brainmeasures offers the most comprehensive Six Sigma training since it has all the resource materials that you need. The online Six Sigma exam offered by the company is also useful in your attempt to gain more proficiency and knowledge about the business processes necessary in delivering high quality services to the public and your employers. As soon as you pass the exam created by experts, you will receive your Six Sigma projects certificate and you can start to practice your career. If you want to take a look on a more detailed syllabus before enrolling in the Six Sigma certification offered by Brainmeasures, then you should visit its site and log into your registered account. A Six Sigma projects certification program especially the one offered by Brainmeasures can help team and project leaders, business owners, employees and all those who want to increase the number of career opportunities that they can access in the future in becoming an asset to any organization. 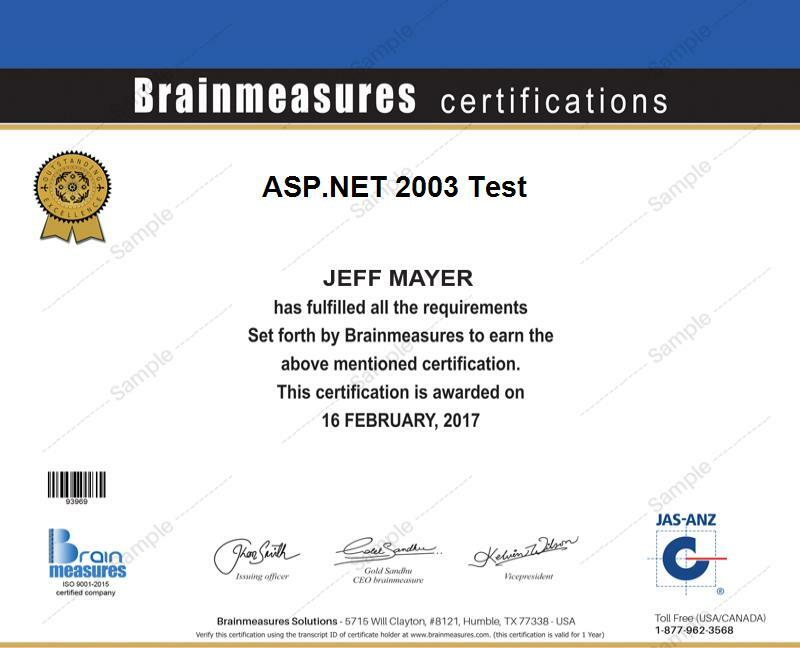 The good thing about Brainmeasures is that it offers its program without any requirements or qualifications so rest assured that you will never have a hard time taking part in it. As a Six Sigma projects certification holder, expect your earnings to grow significantly. Although your salary will vary depending on where you practice your skills and the industry where you are working, you should know that the average annual earnings for you as a Six Sigma certification would be a minimum of $89,000 and a maximum $130,000.